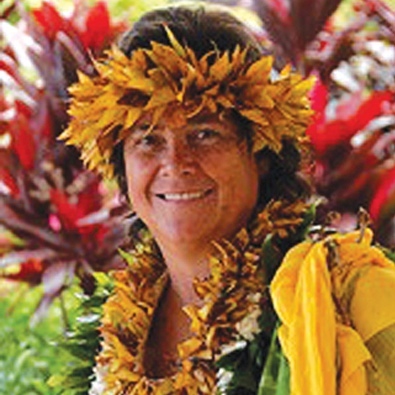 Lei’ohu Ryder is a spiritual leader, visionary, healer, singer/songwriter, and educator on Maui. She is an emissary of aloha and an advocate for the indigenous soul in all people, blind to the labels (race, creed, nationality, ideology, etc.) that can separate us from experiencing the true nature of our selves and others. Lei’ohu Auntie Lei’s love and knowledge of Na Mea Hawaii, help us connect with our selves, with spirit, and be pono (balanced in right alignment).